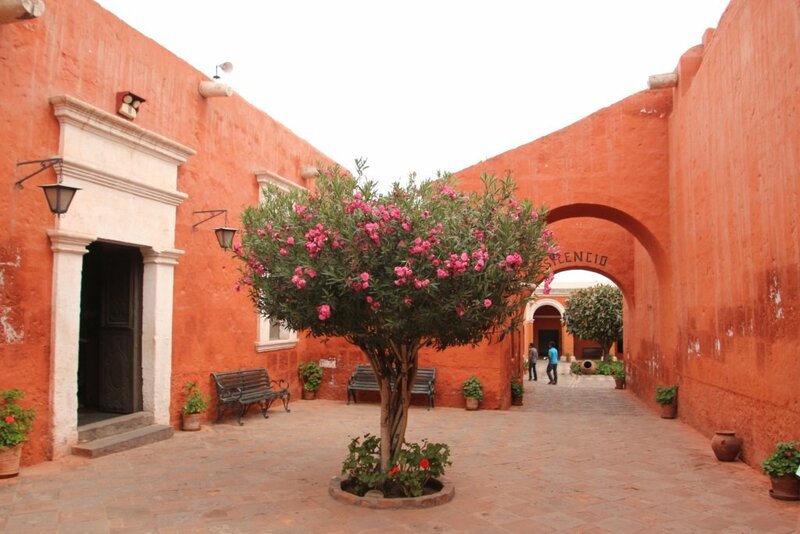 Arequipa is in the top 3 list of the largest cities in Peru. At 2325 meter above sea level the city has a nice setting between a few volcanoes. The one which you mostly can see clearly is El Misti volcano. During the day it can be hot, but the nights can be cold. 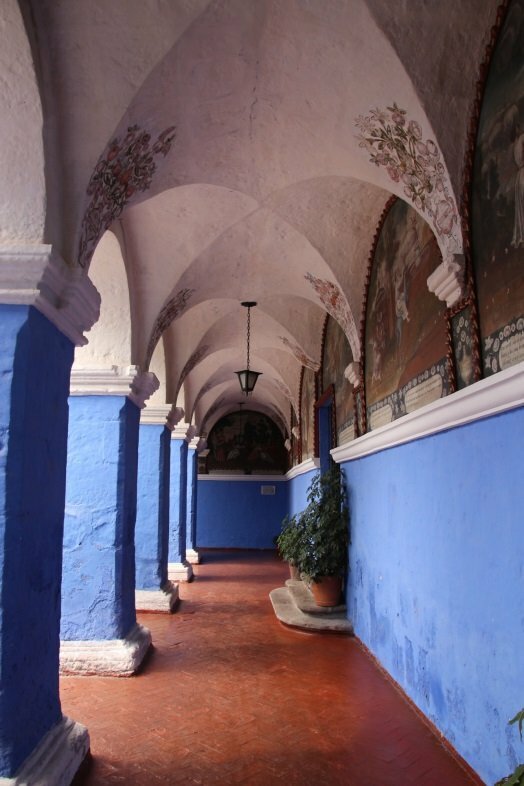 The cities have to be competitive with the most visited city Cusco. Meanwhile, this city is really lively and has a few interesting sights to offer. 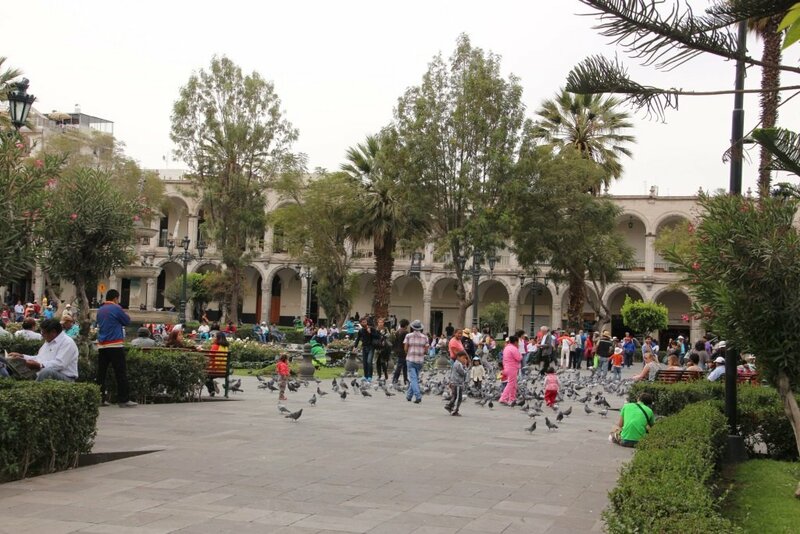 As most cities, Arequipa also has a main square called Plaza de Armas. Here you can find a fountain in the center with green trees and bushes around it. Some benches to make it people comfortable and rest a bit. Loads of pigeons have found this place, they are fed by the people. The Plaza is surrounded by beautiful buildings. The streets around have nice old buildings as well and are really worth wandering around them. There are a few historic museums around, but I didn’t visit. I just loved to wander around in the city. Taking a rest here and there. Watching at old buildings. Sitting at the Plaza de Armas. 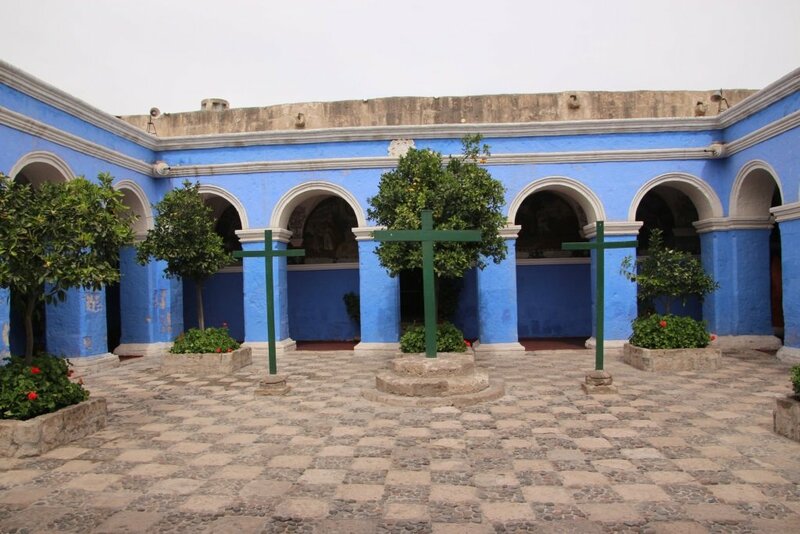 Monastery Santa Catalina is a colorful monastery. A few rooms have some details about how the people lived in this building. Inner gardens are some silent and peaceful places. I just loved wandering around here and feeling the silent atmosphere. From the roof you have nice view over the city. 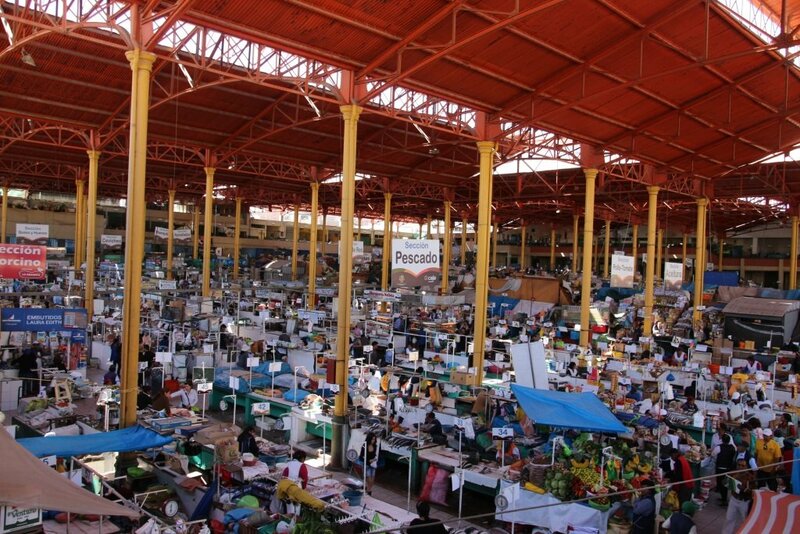 The lively indoor market has a lot of merchandise. 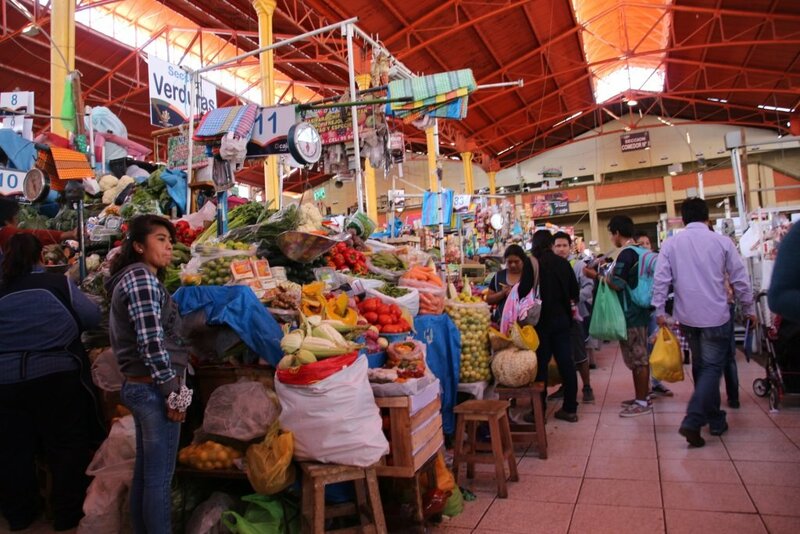 I just love to wander around at those markets. See how the vendors are selling their products. 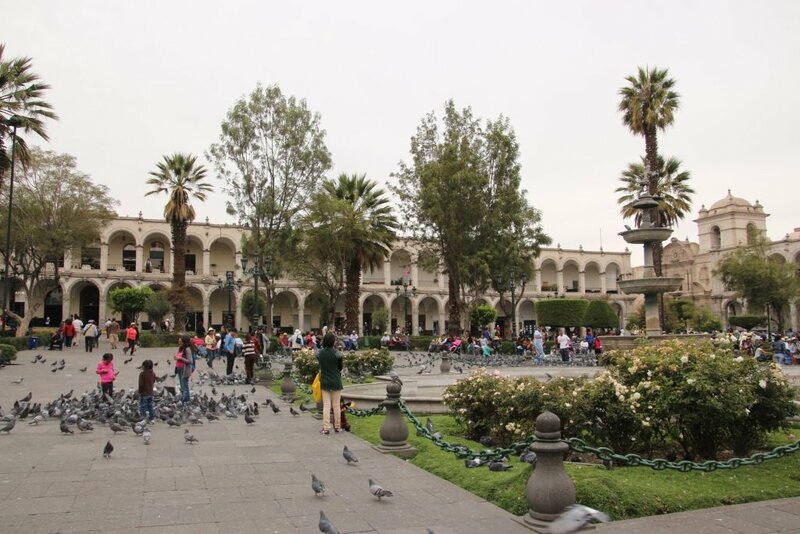 How to get in Arequipa? 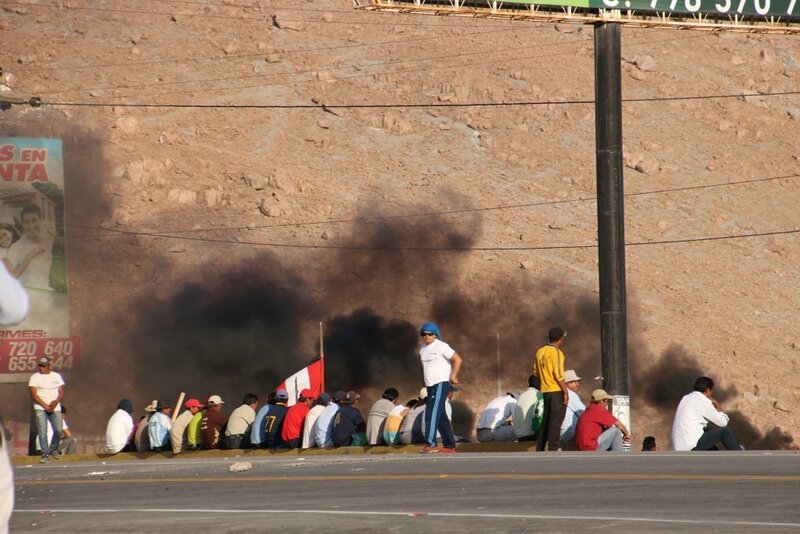 We got here from Chili, San Pedro de Atacama. We took a bus to the border of Chili. From here we crossed with a shared taxi. The taxi dropped us in Tanna. Here we took another bus to Arequipa. If we didn’t have a huge delay because of a strike. We should have done this all trip in less than 17 hours. (including the night bus from San Pedro). Because of the huge strike, it took us 24 hours. We left Arequipa with the bus to Ica. Again we took a night bus from the bus station from Arequipa. This would take about 11hours. From Ica we went straight to Huacachina. 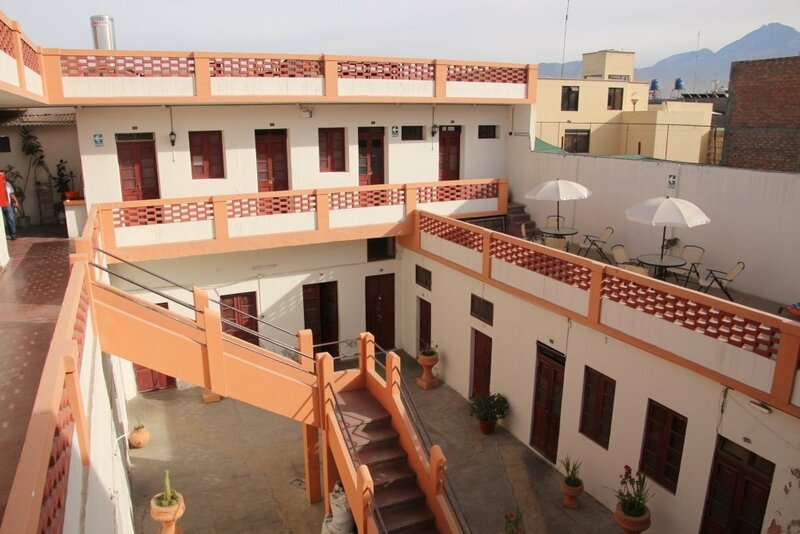 After our late evening arrival, we tried a hostel first. But this seemed to be way more expensive like a hotel. We ended up in hotel Gran, which was perfect for us. 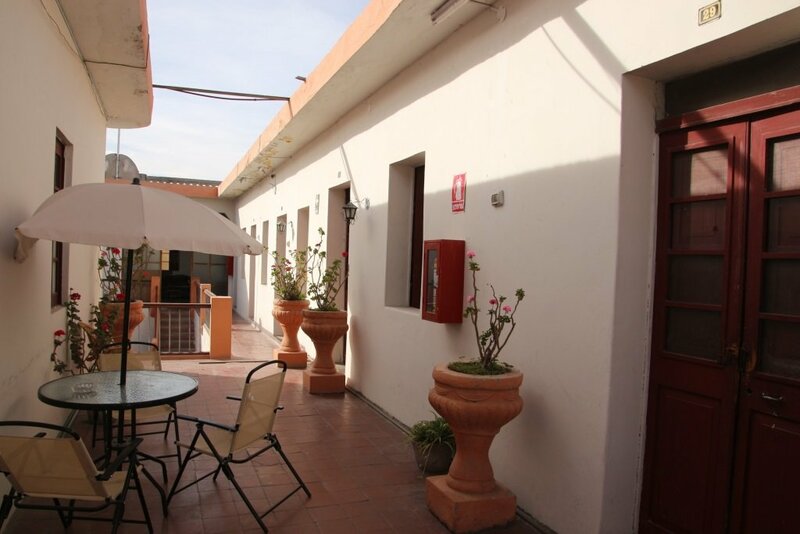 The location was close to Plaza de Armas. We had shared bathrooms and toilets. The bathroom only had hot water during sunny days because of the sun collector. Other than this, the room was comfortable with friendly owners.